Deadpool was curiously absent from Secret Wars. The only mini-series starring him, Deadpool's Secret Secret Wars, took place during the original 1980s story, while Gerry Duggan loosely continued his Deadpool run with the Shiklah-focused Mrs. Deadpool and the Howling Commandos. This absence is somewhat explained by Duggan and Brian Posehn killing off Deadpool and his entire supporting cast in the final issue of their first volume. Everyone is alive again in Deadpool: World's Greatest Vol. 1: Millionaire with a Mouth, but new responsibilities have drawn Wade's attention away from his wife, his daughter Ellie, and his other friends. In the eight-month gap between the restoration of reality at the end of Secret Wars and the start of the trade, Deadpool has grown in popularity in a world rebuilding from the Incursion. Not only is he on the Uncanny Avengers (a book also written by Duggan), but he owns the building that the team operates from and runs a second team out of that building too. This rapid maturation has taken its toll on Wade; he can't balance these new duties with his inner instability. It eventually comes to light that this change in behavior is because Deadpool has decided to model himself after the still-dead Wolverine, tying back into their team-up in The Good, The Bad, and The Ugly. There's a metafictional element to this as well: the sheer number of Deadpool books in production right now is reminiscent of Wolverine's previous ubiquity. In this vein, Deadpool's new team is his version of the latter-day X-Force. The Mercs for Money have a redundant name primarily because they had to lose their old one, "Heroes for Hire," after Luke Cage and Iron Fist threatened a copyright lawsuit. Initially hired to pretend to be Deadpool so he could multitask, the team is comprised of a fantastic mix of Marvel's violent third-stringers. Madcap is the only one in the Mercs who had a major role in the previous volume; he's not quite the same since splitting off from Deadpool. This grows into a feud between the two which spills over into trippy half-physical, half-mental combat. It's a confrontation that's been a long time coming and it pays off from the original Annual which explained their connection. Of the remaining members, I suppose the next most well-known is Slapstick, formerly of the New Warriors. He's an invulnerable living cartoon character who feels a little redundant on the team until Madcap leaves. Two other classic mercenaries, Solo and Foolkiller, join the Mercs for economic reasons; the former has a new family to support, while the latter is paying to get his psychology degree. Given that Solo has turned on his comrades multiple times in the middle of a story and Foolkiller's M.O. is to literally flip out and kill people, the duo work out surprisingly well. Terror, a Marvel Shadowline import who adds body parts to his own strange body, is a character I had only previously seen in a Marvel Team-Up arc. He adds some outright creepiness that in turn enhances the book's strangeness. The last original member of the Mercs for Money is by far the most unlikely: Stingray, formerly of the '80s-era Avengers. Stingray is one of my favorite obscure and underused Marvel characters, and Duggan uses him brilliantly as Captain America's obvious spy in the Mercs. He's the most straight-laced of the crew as a happily-married scientist, but the team clearly needs a smart guy to round out their ranks. Stingray's presence in both this book and Deadpool and the Mercs for Money miniseries-turned-ongoing coincides with the return of the equally obscure Avenger Gilgamesh in the Hercules series. At times it feels like the Marvel writers are trying to outdo each other in bringing back obscure characters. Later on, the brand-new character Masacre joins the Mercs for Money in Madcap's place. Introduced in Deadpool 3.1 (Tres Punto Uno), the "Mexican Deadpool" is a priest who changed careers after taking Wade's confession. None of Masacre's appearances translate his Spanish dialogue, but I haven't heard about any controversies so I'll assume that his dialogue is written properly. His introductory issue was later reissued as a translated version ... "translated" by running it through Babelfish and other Internet translators several times to ridiculous results. The second volume of World's Greatest will collect some version of the issue or possibly all of them. 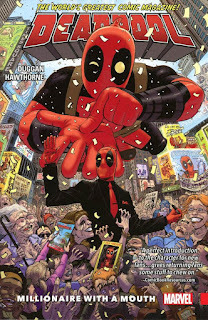 The primary series artist for this volume of Deadpool is Mike Hawthorne, who drew several previous arcs including Soul Hunter, Deadpool vs. SHIELD, and Axis. Scott Koblish may still be the series standout artist, but he's unfortunately absent from this trade since the inventory issues are focusing on a specific "Deadpool 2099" story played out every six issues. One of the cool design notes that's only in this arc are the new costumes worn by the Mercs for Money. They're initially all red and black Deadpool variants, but after a rogue agent dressed as Deadpool starts interfering with Wade's life, he changes them all to rainbow colors to make them stand out. Madcap's gigantic hat is even more ridiculous when he's dressed entirely in purple, while this might mark the first ever costume update for Stingray. With the Deadpool movie ranking as both one of the highest-grossing and acclaimed films of 2016, the Deadpool franchise is in a unique position. It's the one Fox-owned Marvel property that Disney can capitalize on because there's no way they would use him in their own movies. The popularity of the movie has increased sales of the Deadpool books enough to offset the kind of losses that Ike Perlmutter is constantly on the hunt for. If you're a new fan of the Merc with the Mouth, Deadpool: World's Greatest Vol. 1: Millionaire with a Mouth isn't the perfect place to start on Gerry Duggan's Deadpool; that would be The Good, The Bad, and The Ugly. 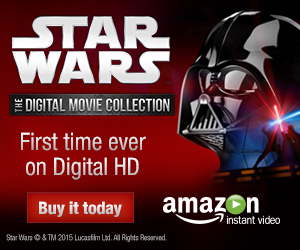 But it's certainly a great second or third book to check out if the movie got you inspired.